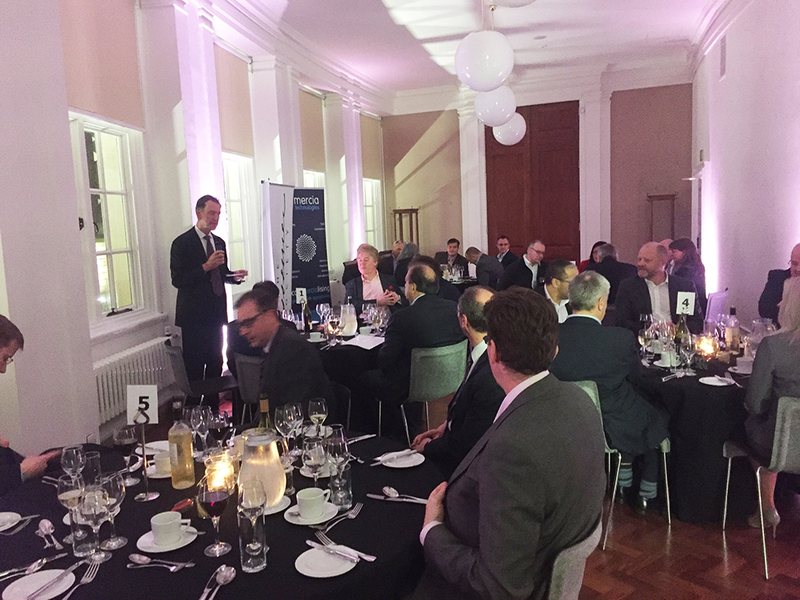 On Feb 21st we held a dinner for 30 people in the Manchester Central Library’s swish, Cunard style, 1930s era, event space, next to the magnificent Town Hall, where we had held our first dinner in September. 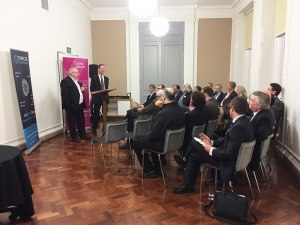 The purpose of the evening was to launch the northern chapter of the Bessemer Society. 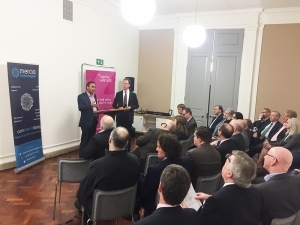 The guests were CEOs and founders of very high tech, hard tech, mainly small, venture companies in the north, together with representatives of organisations providing various kinds of professional support. 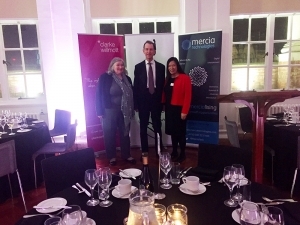 Our sponsors were the law firm, Clarke Willmott, and finance company, Mercia Technologies Plc. 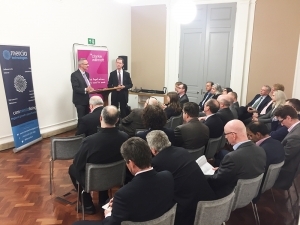 The theme of the evening was funding innovation in hard tech in the Northern Powerhouse. 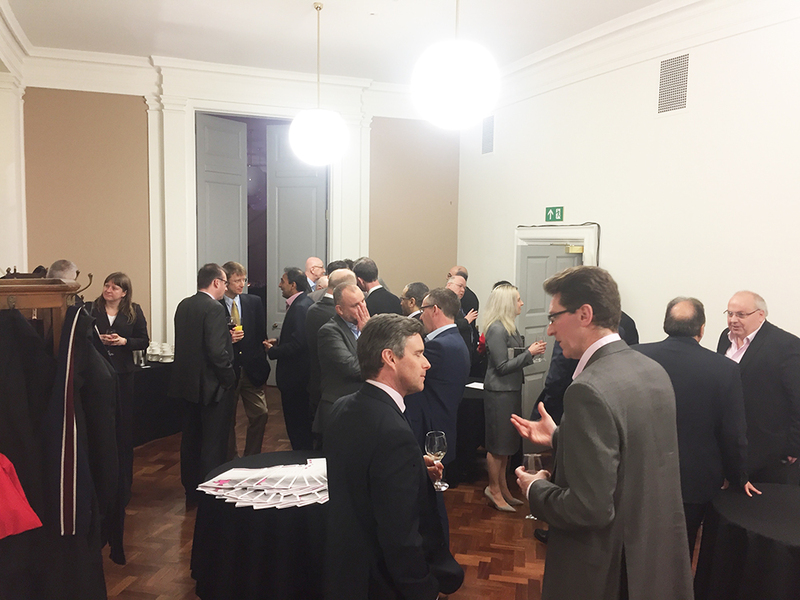 We chose the date to coincide with the Northern Powerhouse Conference which was taking place in Manchester over the two days, and the launch of the Northern Powerhouse Investment Fund. The title, ‘Northern Powerhouse’, is a piece of PR brilliance. Another view of the north after all is ‘dismal and falling behind’. Some may decry PR puff, but on the other hand, setting sights higher, and creating an aspiration is far more healthy than moaning about the (widening) gap between the north and the south. What the Dinner illustrated is that there is great technical innovation at small companies in the north; there are organisations committed to supporting them; and there are entrepreneurs with a ‘gritty’ northern spirit of resilience and can-do. One of the participants wrote later, ‘I left the evening feeling very positive about the industrial future of Britain, in particular the NW – Britain needs societies like Bessemer to recapture the confidence and innovation of Bessemer’s age’. What this comment underlined to me is the importance of encouragement and pointing to what is best. I found myself referring to the guests at the dinner as the ‘best of the best’. Many of their companies have developed world leading technologies: they are among the best. Celebration is one way to encourage each other. On the other hand, encouragement only goes so far. What is also needed is to situate the re-awakened enthusiasm and ‘can-do’ Bessemer spirit within an eco system that can join together and create more momentum and a better use of resources. One way the Bessemer Society’s members can do this is sharing experience, helping each other to avoid making mistakes, or pointing to superior ways to engage with a market, or opportunity. One dinner guest shared the story of being weaned on a great deal of UK R&D grant funding, which committed his company to work with the NHS, later to find that in this instance the NHS adoption cycle was life-threateningly slow; and therefore the only option left to him would be to find a US buyer for the business (giving away control as well as multi-million pounds of tax payer funding). In the north, the Bessemer Society will make meetings open for everyone in the eco system – small high-tech innovation companies, smes and larger companies in the value chain, professional service companies, finance and investment institutions, and local government agencies, but membership of the Bessemer Society itself will remain restricted to CEOs and Founders of high-tech innovation companies. Among this eco system, there was one dinner guest who runs a service to link employers with educational establishments to help them secure untapped talent. He wrote to me after the dinner to say: “On the train home I was thinking about how the evening had reinforced my view of how important it is to give young people an insight into technological innovation through direct engagement with organisations and employers who are working at the cutting edge of new commercial and technological applications of materials such as graphene”. Even so, the dinner guest was concerned that alongside ‘generic’ recruitment tools more still was needed to arouse interest. Having attended our dinner and witnessed the level of technical and entrepreneurial passion in the room, he wanted to find ways for how students and graduates could engage directly with these “serial CEOs, founders and entrepreneurs”. It is one way the Bessemer Society can be putting something back into society if it can provide a better window on to the excitement of technology and the problems and needs that technology is solving. The risk, the dinner guest wrote to me, is that according to his high level source within the Cheshire local government, one of the county’s most important employers might move part of their local production to China, not because of cost, but because of difficulty recruiting suitable talent. We should not be deaf to that risk.